The further down the rabbit hole you go the weirder things tend to get. 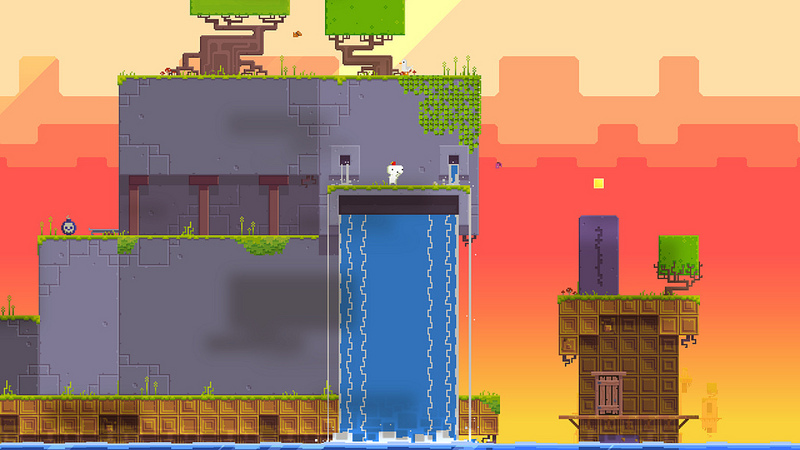 Such is the case with Fez where, if you just simply finish the game once, you’ll find that it’s a pretty clever puzzle platformer. You might get some hints that something larger is going on behind the scenes but it’ll likely take much more to fully uncover what secrets await you the deeper you go. At face value Fez is a really great game based around perspective but if you’re willing to dig deeper you’ll discover that it gets much much stranger. If you hold a cube out in front of you in-line with your eyes you’ll only see a small portion of the cube. It’s not until you begin to rotate it that you’ll begin to see the full picture. Fez takes this concept and create a whole world for you to explore and discover on your own. It rarely holds your hand and you’re rarely given one specific route to take. Instead you’re free to explore at your own leisure and discover things on your own. You’re tasked simply with finding 32 golden cubes which are hidden and fragmented throughout the world. What you’re not told is that there are also 32 anti-cubes that are far more difficult to find and sometimes even require a specific item only obtained after finishing the game. You can finish the game pretty easily without worrying too much about the anti-cubes and just focusing on getting all of the golden cubes. Finding these are as simple as playing through the game, exploring each area thoroughly, and solving various puzzles. Some puzzles simply require you to rotate the perspective of the world a couple times while others require a bit more thought. Much like Portal you’re required to view things differently. In Fez you have to quickly understand that what you see is only a very small portion of what is actually there. For instance you might walk into a room that seems empty but after rotating the view a couple times you might reveal a hidden door or a treasure chest. Things get even more complicated as rotating the world creates new pathways and platforms to reach. Sometimes you might need to jump and quickly rotate the world so that you’ll land on ground rather than falling. The end result is a really cool mechanic that feels more and more rewarding the farther you get. In my own experience I ended up with most of the golden cubes and a handful of anti-cubes along the way. By the end of it I was left feeling like I had really gone out and discovered all sorts of strange and mysterious things. My only real gripe is that somewhere around 24 cubes I had to start backtracking a lot. There are warp points throughout the world but even then I found that it started getting tedious navigating to certain points in the world. 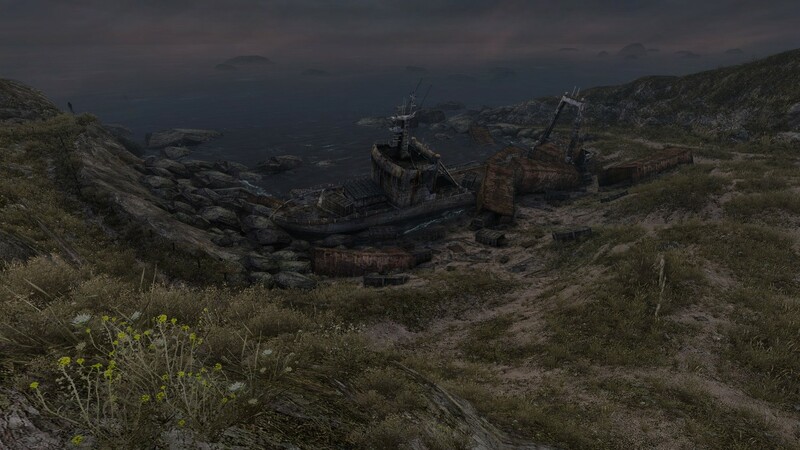 I also didn’t care for the map functionality as well. I mean the map looks really cool but I found it to be kind of confusing at certain points. After finishing the game once you can move on to something else and come away completely satisfied. On it’s own Fez is a pretty great puzzle game. Or you can start up New Game +. Here you’ll receive an item that allows you to see things in a new way that is required to solve certain anti-cube puzzles. At this point you’ll have to start decoding the language trapped within Fez by pulling out some graph paper or just looking up some FAQs online. The hidden language within Fez is endlessly fascinating. It continues to take the idea of perspective and bend it even more. I haven’t quite hit 32 anti-cubes yet but I already feel like I’ve seen this mystery go to some super interesting places. Of course none of this even gets into how great the game looks no matter what you’re playing on (PS4, PS3, or Vita) or how great the soundtrack is. Fez will challenge and reward you. It’s a world worth checking out, rotating, and decoding.